This special edition Mia 2 comes in a beautiful gift box embossed with shiny silver artworks from Keith Haring. Included is a special Mia 2 device, a charger, a travel-sized (30ml) Clarisonic Refreshing Gel Cleanser. and a pretty faux-leather storage pouch. The Mia 2 device has a simple white plastic casing with a completely smooth finish (versus the original semi-matte finish). 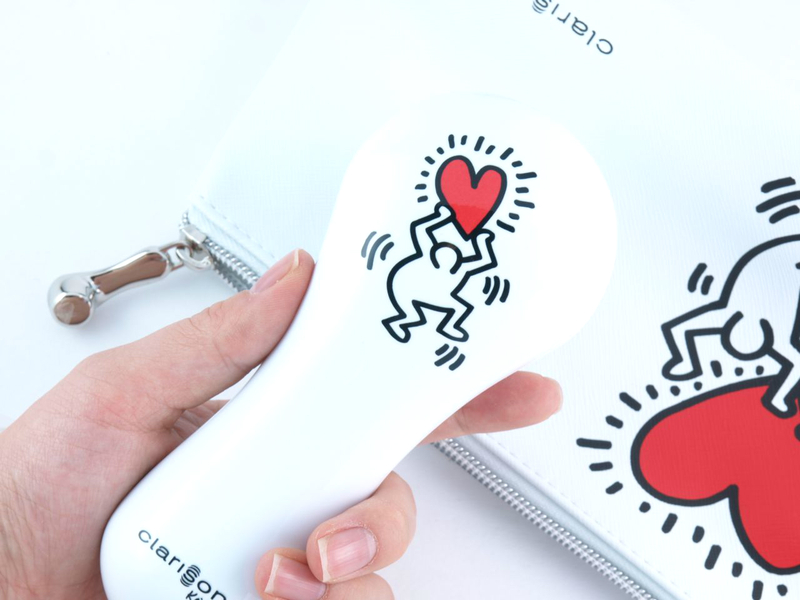 The back of the device is embossed with the "Love" artwork from Keith Haring, which is very fun and cute. The included pouch is also embossed with the "Love" artwork. I especially love that the zipper-pull is shaped like a Clarisonic device! I've been using the Clarisonic every day for more than a year now and it honestly works so well at gently cleansing the skin, removing all traces of dirt, oil, and makeup residues. Featuring the one-of-kind oscillating (not spinning) brush head that reaches 300 movements per second, the Mia 2 is the most compact of the Clarisonics, making it great for traveling. I've done a very detailed review of this device last year, so if you want to find out more about this device, check out this post of mine. The Clarisonic is available online at Clarisonic.Ca and in stores at Sephora, The Bay, and Holt Renfrew. 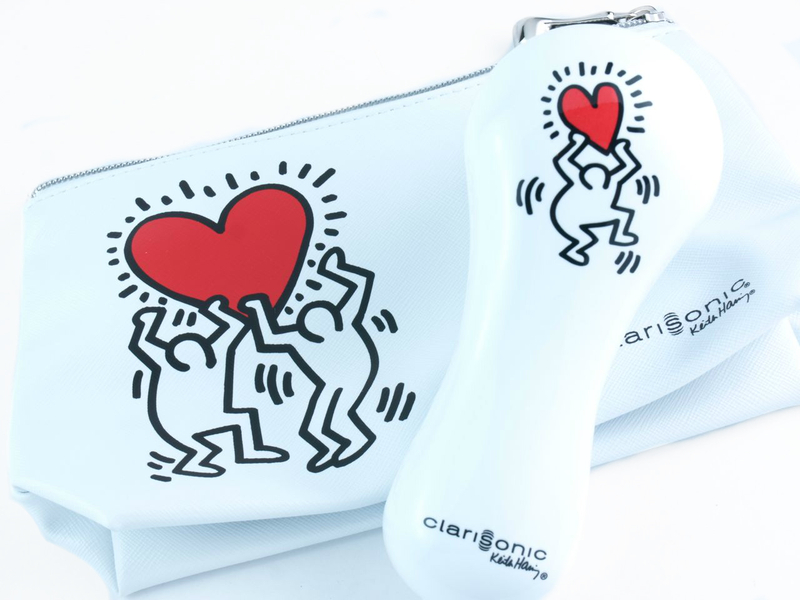 From what I can tell, the special Keith Haring editions are available only at Clarisonic.Ca, which offers FREE shipping on orders $70 CAD and more.